Super Mario Run is now available on Apple’s iPhone and iPad, bringing the beloved Italian plumber to iPhone, iPad and iPod touch screens across the world. Mario may be the most familiar face in the world of gaming, but Nintendo’s Super Mario Run isn’t a port of any console game. It’s a traditional two-dimensional game. Of course, the character, Mario, is the soul of Super Mario Run. The game itself is original in its present form but comes with a heavy dose of nostalgia and loads of memories. 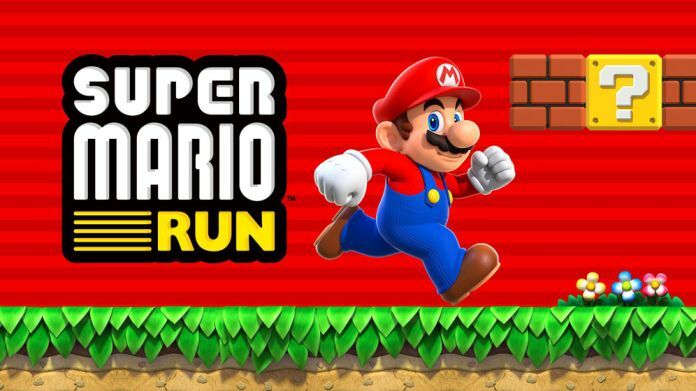 If you have downloaded the new Super Mario Run, or looking forward to downloading it, here’s everything you need to know about the first smartphone game from Nintendo, Super Mario Run. The first smartphone game from Nintendo was released on December 15 globally. If you’ve signed up for the notifications to the game, you will be told when it can be downloaded. The game release time might differ depending on your location. The game might be available in countries like the US from around 10 am PST and India from 11:10 pm IST on December 15, depending on how Nintendo decides to release the game. The premise of first smartphone game from Nintendo is as simple as it gets. Bowser is at it again, and there is unrest in the Mushroom Kingdom. The flame-throwing reptile in his Koopa Clown Car has destroyed most of the Kingdom and has also kidnapped Princess Peach. Mario, like the gentleman he is, has to not only rescue Princess but also has to rebuild the kingdom and get the toads back. You are greeted with the similar side-scrolling setting, but this time Mario runs by himself, and you only need to tap on the screen to make him jump over obstacles and oncoming enemies. The whole Super Mario Run game is played in a portrait mode. And yes, there is no need of two hands to play. This is a one-handed game, designed for modern day devices like the iPhone. The idea is simple: to play the game with one hand. All throughout the game, you are tapping on the screen to move Mario forward – the longer you hold, the higher he jumps. Yes, timing is very important. You need to jump at the right times to collect coins, step on enemies and jump off walls. The game’s main mode “World Tour” has many levels, which will remind you of old classic Mario games. 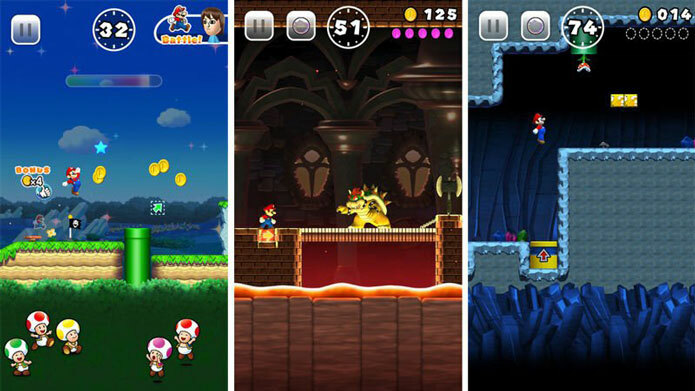 The whole Super Mario Run game’s levels are divided into six worlds of four courses each, for a total of 24 maps. That may seem light, but each level is a black hole of replayability. Scattered through each are five pink coins in often hard-to-reach places, and once you get those, the course changes to include five harder-to-reach purple coins, then five (hardest-to-reach) black ones. Even the pink coins are tricky, and most players will have trouble grabbing more than two or three their first time through a level. Obsessive fans will waste hours perfecting a path through each version of each course.